Jamaica never really developed formal diplomatic relations with Cuba until Michael Manley’s government established diplomatic relations in 1972. That year Manley established multi-level relations with Cuba that included trade, bi-lateral technical assistance, loans and other direct aid. Today, there are many Jamaicans studying in Cuba – particularly in health-related professions, while there are many Cuban doctors and other health professionals working in Jamaica. The Jamaican tourist industry is also another employer of several multi-lingual Cubans. However, probably because of proximity (90 miles), informal (people to people) relationship has existed between the two countries for close to 100 years. Many Jamaicans (including two of my uncles) moved to Cuba and established residence there as earlier as the 1940s. Similarly, Cubans have been moving to establish residence in Jamaica since the early part of the century. As a result, some of the giants of almost any industry in Jamaica have roots in Cuba. Their contributions to Jamaica’s cultural industries are well documented. The six icons referenced in this article represent a small but significant fraction of the bi-lateral, cultural exchange that has taken place between the two countries over the years. These are Cuban-Jamaican giants that have provided significant input in the shaping and development of Reggae music – Jamaica’s gift to the world. Alvin “Seeco” Patterson (born Francisco Willie) was born in Havana, Cuba on December 30, 1930 to a Jamaican father and Panamanian mother. He immigrated to Jamaica as a young child and lived in the parish of Westmorland. Most Jamaicans know him as the talented percussionist who played with Bob Marley, but for Marley, he was big brother, life teacher and music tutor. Patterson and Marley are said to have “grown immensely close and forged a bond that would last until the end of Marley’s life”. It was Patterson who encouraged Marley as he began to experiment with singing – sharing the experience he had gained playing percussion with famed calypso artist Lord Flea, and with several other Mento/Calypso bands. It is said that Patterson was the one who took the newly formed Wailers group, consisting of Marley, Peter Tosh, Bunny Livingston and Beverley Kelso to Coxsone Dodd‘s Studio One for their first audition, in July 1964. The resulting recording session, which took place only after Coxsone’s initial rejection of the Wailers, produced the hit single “Simmer Down” – – the record which launched the Wailers’ career. Over the years Patterson served in the dual role of percussionist and road manager for the Wailers and (later Bob Marley & the Wailers). It is said that he was the “anchor that kept Marley’s music grounded in tradition”, and although not credited, is said to have contributed lyrics to several of Marley’s songs. 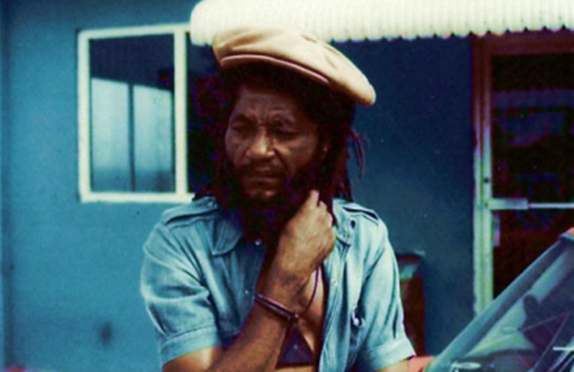 Patterson was what Jamaicans call a “loyal soldier” who was part of every Marley performance and recording session. He was with him when he collapsed in Central Park and stayed by his side until death. He continued to play with the Wailers Band after Marley’s death until he suffered a near fatal brain aneurism in 1990. Since then he retreated from the music scene – spending his time at home in Kingston and occasionally appearing as guest percussionist at jam sessions. 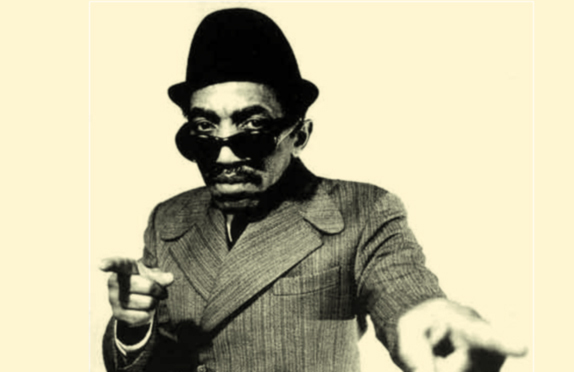 Laurel Aitken was born Lorenzo Aitken in Cuba (of a Jamaican father and Cuban mother) on April 22, 1927. He moved with his family to Jamaica at the age of eleven (1938). Aitken began his career as a nightclub entertainer and was one of Jamaica’s first recording artists in the 1950s. By 1958 he had racked up a number of mento hits including: Baba Kill Me Goat, Swing Low, Nebuchenezer, More Wisky and Low down Dirty Girl. That year Chris Blackwell ventured into the recording business with Boogie in My Bones and Little Sheila with Aitkin for distribution in the United Kingdom. In 1960 Aitkin moved to Brixton, England and began recording on the Blue Beat label. During that early sixties he traveled between Jamaica and England, recording for producers in both countries – working with the Skatalites in Jamaica and recording for Pama Records – a label established by Palmer brothers, Harry, Jeff and Carl in England. It was during this period that Aitken earned the title Godfather of Ska. In the late 1970s the multi-talented Aitken recorded a few DJ tracks under the name “King Horror”. In the 1980s Aitken move to Leicester, England where he returned to his “roots” as a nightclub performer. That move coincided with the 2-Tone Ska movement in England and Aitken returned to the British chart with a song call Rudi Got Married. He continued to perform until his death at the age of 78 in 2005. He died from complications of a heart attack. 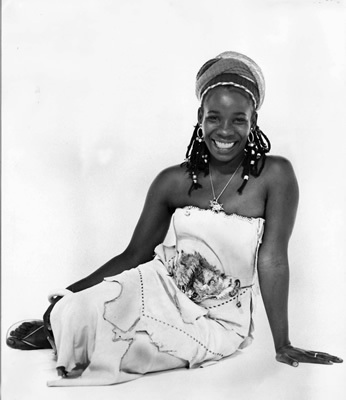 Rita Marley was born Alpharita Constantia Anderson in Santiago, Cuba to Jamaican parents Leroy Anderson and Cynthia Jarrett on July 25, 1946. She was brought to Jamaica shortly thereafter – residing in Kingston. In the 1960s she was introduced to Clement Dodd at Studio One and became lead singer of a group called the Soulettes. This group also included her cousin Constance “Dream” Walker and Marlene “Precious” Gifford. It was during this period that she met and married Bob Marley (February 1966). Her group evolved into Rita Marley & the Soulettes and over the years, included singers like Nora Dean, and made hits like Why Should I and Deh Pon Dem. At the same time, there was another female group at Studio One called the Gaylettes. This group featured Judy Mowatt (lead), Beryl Lawson and Merle Clemenson. They were known for hit records like Silent River Runs Deep, Like Your World and Son of a Preacher Man. In the early 1970s, Judy joined force with Rita and Marcia Griffiths (of Bob Andy & Marcia fame) to form the I-Threes – Jamaica’s premiere female group of the period. They racked up several chart toppers as a group, but were mostly known as the back-up singers for Bob Marley and the Wailers. Rita was injured in the attack on her husband shortly before the 1976 “Smile Jamaica” concert. She continued her solo career after Bob’s death, topping the Jamaican and international charts with One Draw in the 1980s. In 1986 she founded the Robert Marley Foundation. She is chair of the Bob Marley Trust and the Bob Marley Group of Companies. Since the late 1980s, her life has take a somewhat different turn – towards a life of philanthropy – and giving back. That life includes adoption of children in Ethiopia (35), educational and feeding projects in Africa – particularly Ghana where she presently resides – music education scholarships and multiple projects aimed at alleviating poverty in targeted countries – by way of the Rita Marley Foundation. Her children – Sharon, Cedella, Ziggy and Stephen continue to provide their imprint on reggae music, sports, fashion and other aspects of Jamaican and international life. Two other children – Stephanie and Serita are lending their talents in Rita’s philanthropic efforts. Rico Rodriquez was born Emmanuel Rodriquez on October 17, 1934 in Havana, Cuba. He moved with his family to Jamaica at a very early age and settled in Kingston. He attended Alpha Boys School – a trade and training school founded and run in Kingston run by the Roman Catholic Church in the late 19th century. The school was established in 1880 as a “school for wayward boys”, and became renowned for both the discipline it instilled in its pupils and the outstanding musical education it provided its students. It was here that he met his mentor and teacher – the legendary Jamaican trombonist Don Drummond who was also an older student at the school. 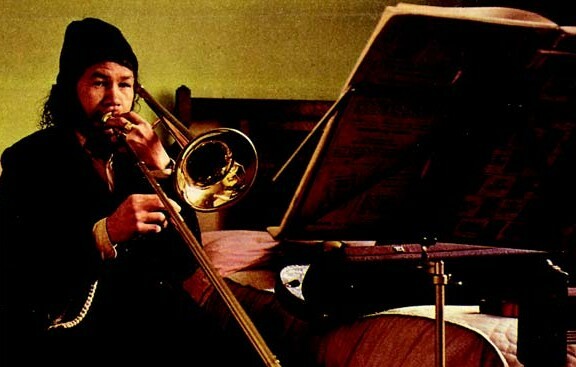 He joined Count Ossie’s band in the late 1950s and played trombone on several recordings during that period. He left Jamaica for England in 1962 where he played with and led several Ska, Rock Steady and Reggae bands – included The Specials, Jools Holland’s Rhythm & Blues Orchestra and his own band – Rico and the Rudies. His recordings included Man from Wareika, A Message to You, Rudy and the album – Roots to the Bone. Rico was awarded an MBE (Member of the Order of the British Empire) for a life of services to music in July 2007. In October 2012 he was awarded the Silver Musgrave Medal by the Institute of Jamaica in recognition of his contribution to Jamaican music. He still lives in the United Kingdom and performs occasionally at music festivals. Roland Alfanso was born Ronaldo Alphonso in Havana, Cuba on January 12 1931 from a Cuban father and Jamaican mother. He moved to Jamaica with his mother at the age of two. He began studying the Saxophone at the “Stony Hill Industrial School” at a very early age. In 1948 he left school to join the “Eric Deans” orchestra and later played with several bands on the hotel circuit. Alfanso became a member of Stanley Motta’s session musicians in 1952. Four years later he began recording for Clement “Coxsone” Dodds’s Studio One. In 1958 he joined Bim & Bam’s touring comedy act. The following year he joined one the more popular Jamaican bands at the time – Clue J & His Blues Busters, while simultaneously leading recording session musicians for both Studio One and Duke Reid’s Treasure Isle recordings. By 1960, Alphonso had become the primary “go to, get it done” session leader for several early sound system operator/producers – including Duke Reid, Prince Lloyd “the Matador” Daley, Clement Dodd and King Edwards “the Giant”. He played virtually all the saxophone instruments – alto sax, tenor sax, baritone sax and flute. During that period he played with several emerging bands including The Alley Cats, the City Slickers, Aubrey Adams Orchestra and the Drew Droppers. In 1962 he left Jamaica for “greener pastures” in the hotel industry in Nassau, Bahamas. He returned less than a year later to take up the leadership of the newly formed Studio One Orchestra. This band was later rebranded as the Skatallites – a band that has hardly received the credit it truly deserved for building the foundation of Jamaican music. The band included some of the architects of the Jamaican music industry – namely Tommy McCook (died in 1998), Roland Alphonso (died in 1998), Lloyd Brevett (died in 2012), Lloyd Knibbs (died in 2011), Don Drummond (died in 1969), Jah Jerry Haynes (died in 2007), Jackie Mittoo (died in 1990), “Dizzie” Johnny More (died in 2008) and Barbadian singer, Jackie Opel (died in 1970). The Skatalites recorded their first LP Ska Authentic at Studio One in 1964. They toured Jamaica as the creators of Ska. Among their producers were Coxsone Dodd, Duke Reid, Prince Buster, Vincent “King” Edwards, Justin “Phillip” Yap, Leslie Kong, Lindon Pottinger, Sonia Pottinger and Vincent “Randy” Chin. The Skatalites led sessions with all Jamaica’s top artists of the period – including several young talents that went on to become superstars – such as Delroy Wilson, Desmond Dekker, The Wailers, Toots and the Maytals and Lee “Scratch” Perry. The Skatellites played their last show as a band in Kingston in August 1965. The music they made during the period they were together continued to top the charts in Jamaica and the United Kingdom long after the disbanded. In 1967, their Ska adaptation of the theme from the film – The Guns of Navarone entered the UK top 40 chart. The band dispersed and evolved into two super-groups – Rolando Alphonso and the Soul Brothers (later rebranded Soul Vendors) and Tommy McCook and the Supersonics. Alphanso suffered a stroke in 1972 at the early age of 41 and decided to migrate to the United States later that year in order to have closer access to medical treatment. However, he returned to Jamaica to record on a regular basis. He kept up this pace throughout the 1980s and 1990s. During this period he also performed live with reggae band – Jah Malla on the reggae music circuit in New York. In 1977, the Jamaican government honored him with the title of Order of Distinction. In 1983 he rejoined a re-structured Skatallites for several tours and recording sessions until November 2, 1998 when he suffered an aneurism while performing with the band at the Key Club in Hollywood, California. He died at the Cedras-Sinai Medical Center in Los Angeles, CA eighteen days later. Tommy McCook was born in Havana, Cuba to Jamaican parents on March 3, 1927. He was brought to Jamaica by his parents in 1933. He began playing the tenor saxophone as a student at Alpha Boys School in Kingston. He eventually left school at age 14 to joined the Eric Deans orchestra and later with Roy Coburn orchestra, emerging as a highly skilled jazz player. Between the late ’40s and early ’50s, he also frequently collaborated with Count Ossie, lending his talents alongside those of the Rastafarian hand drummers and chanting vocalists who comprised Ossie’s group. In 1954, after an overseas engagement with Dean’s Orchestra (in the Bahamas), he decided to stay in south Florida – Miami. It was here that he became exposed to American Jazz legends like John Coltrane and Miles Davis. Upon his return to Jamaica in 1962, he was approached by several producers to record Jazz. This led to his first Jamaican recording session (for Clement “Coxsone” Dodd) titled Jazz Jamaica. Later that year he recorded a Ska version of Ernest Gold’s Exodus. He went on to become a leader of the legendary Skatalites where he was among the most innovative and influential Jamaican musicians of his generation, a prime catalyst behind the evolution and international popularity of ska and reggae music. After the Skatalites disbanded, McCook founded the Supersonics. This band was soon installed as the house band at Duke Reid’s Treasure Isle studio and became one of the the most sought-after studio unit of the rock-steady era – appearing on classic hits from artists including Alton Ellis, Justin Hinds, and the Techniques. 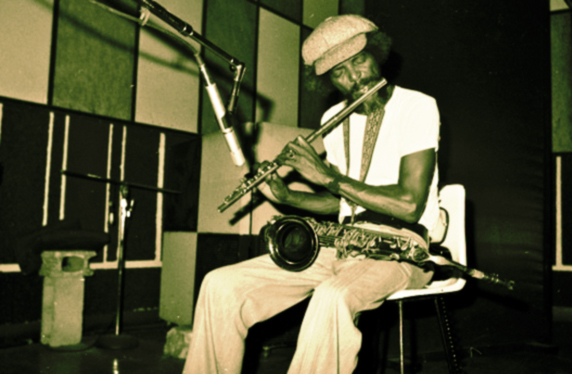 Tommy McCook remained a fixture of the Jamaican session circuit throughout the years that followed, while simultaneously issuing a number of solo albums for producer Bunny Lee. Among them 1974’s Cookin, 1975’s Brass Rockers, and 1977’s Hot Lava. for producer Glen Brown. In 1976 McCook also issued a blank-labeled LP generally referred to as Horny Dub, and two years later he teamed with trumpeter Bobby Ellis for Blazing Horns. In 1983 he re-formed the Skatalites nearly two decades after their initial breakup. He relocated them to the U.S. in 1985. A few months later they released their comeback album, Return of the Big Guns. A series of new releases from the Skatalites followed. Their work during this period led to a pair of Grammy nominations. In 1994 they launched their first world tour, which included appearances as part of the Skavoovee U.S.A. tour, a package that included their descendants British Ska band the Specials, the Selecter, and the Toasters. McCook died quietly at his home in Atlanta, GA, on May 5, 1998 at the age of 71.